Jacksonport is on the western shore of Lake Michigan, the eastern shore of Wisconsin's Door Peninsula, in Door County, Wisconsin, USA. We think it's a nice place to be. On Memorial Day weekend, Maifest kicks off summer with a parade, softball tournament, music, horse-pulling contest, arts, crafts, a fun run, food booths, a parade and lots of family fun out at Lakeside Park. 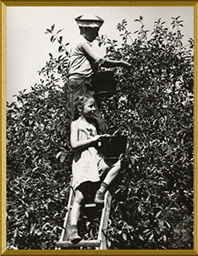 Then in early August, the annual Cherry Fest celebrates the abundant harvest of the county's delicious red berries. 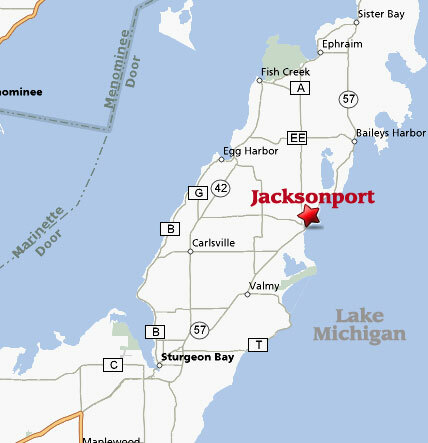 Jacksonport is a place of fun, renewal, memories, and wants to be your home away from home in Door County, Wisconsin.